Here are a few photos from the process of planing and scraping rosewood back and sides. Three backs and six sides make a lot of work and a lot shavings! 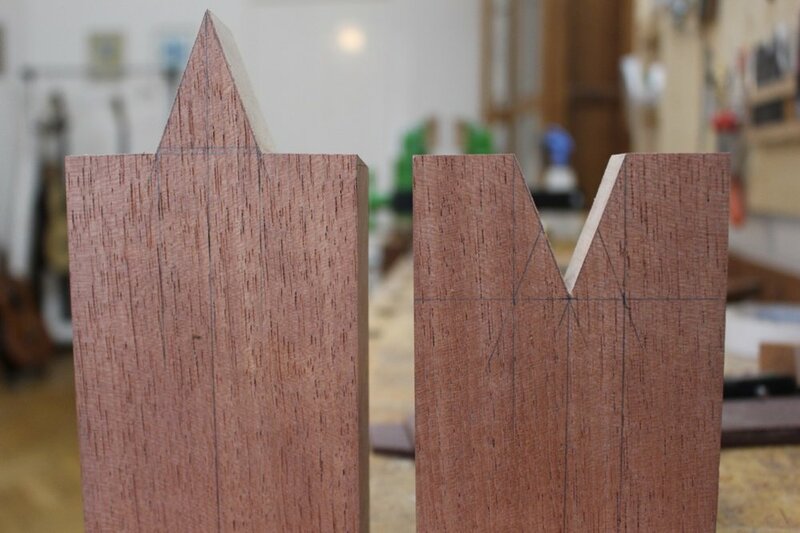 Also a couple Spanish scarf joints and a V-joint for neck blanks.